If the gamble behind the Astana International Financial Center pays off, Kazakhstan could be propelled into the international financial services premier league. 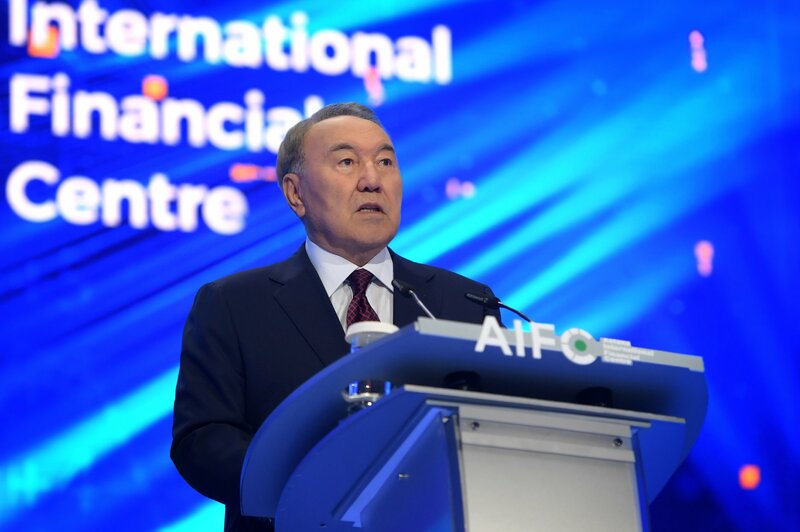 The main champion of the AIFC, President Nursultan Nazarbayev, rung a confident note at its raucous official inauguration on July 5. “Astana should become the region’s main financial hub, and in the long term join the ranks of leading Asian financial centers,” he enthused, banging an opening gong, a nod to the New York Stock Exchange’s celebrated bell, as he was showered in glittery ticker tape. The AIFC has set out several lures to tempt companies into relocating there – among them are 50-year tax breaks and the creation of a legal framework modeled on English common law. The aspiration is for the center to draw $40 billion in finance by 2025 and in the process rebrand oil-rich Kazakhstan as a financial hotspot and help wean it off its addiction to commodity revenues. So far, so good. But with memories of the launch party now fading, is it time for a reality check? Targeting areas ranging from capital markets, asset management and fintech to Islamic and green finance, the AIFC may have a bright future. At the moment, however, it is very much a work in progress. The stock exchange is not yet trading. Its facilities at Astana’s EXPO-2017 site, near a glass globe that foreign visitors dubbed the Death Star, much to Astana’s chagrin, are not yet finished. And for all the fanfare, the flagship financial hub has registered only 49 companies, few of which have brand recognition. The center has potential, analysts say, but there are challenges ahead. The government has committed investments worth $180 million over the next three years, so the AIFC’s success “depends largely on the ability of the state budget to continue to fund its activities and the ability of the government to sustain macroeconomic stability over the long term,” Kapparov said. From a Kazakh perspective, oil prices have reverted to a healthy high level, but a dip could spell trouble. Another question is whether investment will flow in as the government expects. For AIFC chief executive Kairat Kelimbetov, who spoke to Eurasianet at the gala opening, this “geographic location between Eastern European markets and the west of China, between Central Asia and Eurasia” is a strength. He shrugged off suggestions that Astana will struggle to rival bigger fish like Dubai and Singapore. The AIFC, whose creation now puts Almaty’s future as Kazakhstan’s financial capital in doubt, is said to be in a different league. With state-of-the-art technology and infrastructure, and an English-speaking staff of international experts, Astana is creating “a legal enclave where we can bring the best practice, the best expertise,” Kelimbetov said. The center will operate according to English common law. A court staffed with English barristers and presided over by an ex-lord chief justice of England and Wales and an arbitration center will be available for dispute resolution. This English connection is being touted as evidence that best practice will be the norm, although the link has also drawn some negative attention. As the muckraking British magazine Private Eye has reported, Lady Judge, a British lawyer chairing the AIFC’s regulatory body, is arriving fresh from resigning as chair of the United Kingdom’s Institute of Directors amid a scandal over allegations of sexism, racism and bullying. She denies all the allegations, which include a claim that she described it as a “problem” that “we have one black and we have one pregnant woman” on staff. The English legal framework is a major draw for entrepreneurial early adopters who have rushed across the AIFC’s threshold. It “allows us to minimize legal risks and gives our potential clients and partners confidence in our company and in their future businesses,” Kerim Nurmakanov of MY Partners, an Astana-based consultancy working with foreign investors, told Eurasianet. The AIFC is attractive as a platform to “build our business network” with financial companies, government entities and foreign investors, he said. But the sobering reality is that of the 49 companies registered at the AIFC, most are no-names. Some are only offering ancillary services to firms operating at the center. Many have no discernible online presence. For over half, Google searches yield only their appearance on the AIFC register or reports associated with AIFC activities. There is some international presence, like New York law firm Curtis, Mallet-Prevost, London’s Grove Regulatory Consultancy and Singapore’s Paladigm Capital, a wealth-management company. The most recognizable Kazakhstani brand is investment bank Halyk Finance, part of a stable owned by Dinara Kulibayeva and Timur Kulibayev, Nazarbayev’s daughter and son-in-law, respectively. Halyk Finance is “generally optimistic” about the AIFC, Farkhad Okhonov, the company’s consulting and underwriting director, told Eurasianet. “The AIFC is a massive and ambitious project which is currently based on an idea and concept rather on specific technologies and achievements,” Okhonov said. “And we definitely don’t want to be missing out on these opportunities, however remote or close those could realistically be,” Okhonov said. Perhaps the most important state support being thrown behind the center is not coming from Kazakhstan, but from China. The mightiest player registered at the AIFC to date is the China Development Bank, a fact that signals a welcome vote of confidence from Beijing. There is also Chinese involvement in the bourse, the Astana International Exchange, which goes by the initials AIX, in which the Shanghai Stock Exchange owns a 25 percent stake. The government hopes to get trading – expected to start this fall – off to a flying start by listing major state-owned companies there. This privatization drive is already delayed, however. AIFC chief Kelimbetov’s revelation that a decision on the listings will be made within six to 12 months suggests that the AIX might not be hosting them this year. “There are likely to be many delays. Investor appetite is uncertain and more than just a handful of state companies would need to be floated on the AIX to establish a substantial market,” predicted Lambertson. The listings will be a litmus test for the AIFC, he suggested, as he identified two other make-or-break factors: Chinese investor appetite and the opening up of neighboring Uzbekistan. 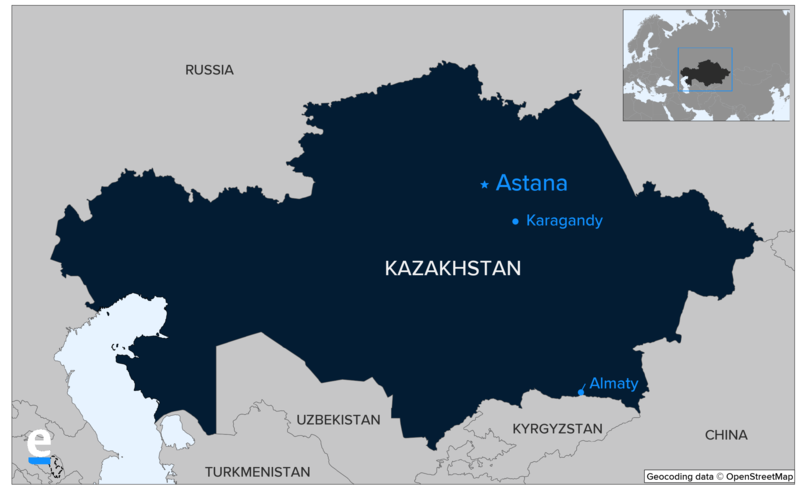 “Kazakhstan could stand to significantly develop its role as a financial hub if the large market of Uzbekistan were to liberalize rapidly,” Lambertson said.